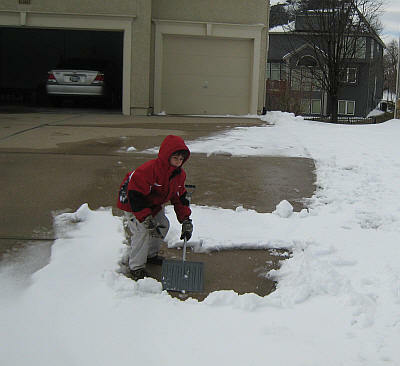 We had six or more inches of snow with lots of drifts, so I recruited Nicholas to help with the shoveling. With the drifts, half the driveway was melted and half had thick snow. I took a few pictures, but Nicholas complained about having to shovel while I took pictures. Fair enough. Here's one good picture, though.